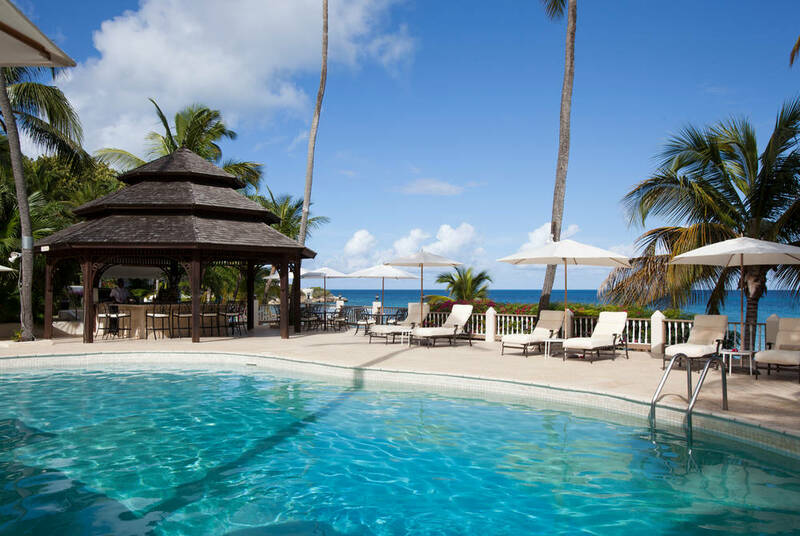 Set in 17 acres of gardens on a secluded cove, at Blue Waters you'll find yourself instantly relaxing into the resort's elegant, Caribbean ambience. The emphasis here is on friendly service and traditional Caribbean hospitality, so whether you're one of the resort's many repeat guests or a first time visitor, you'll find that a warm welcome awaits you at Blue Waters. Blue Waters features just 65 elegantly furnished rooms, a range of suites and three beachfront villas that are ideal for families. The exclusive Cove Suites have brought an extra level of luxury to the resort. With lavishly appointed rooms, spacious bathrooms and exclusive access to four infinity pools it's well worth upgrading to one of these elegant suites. 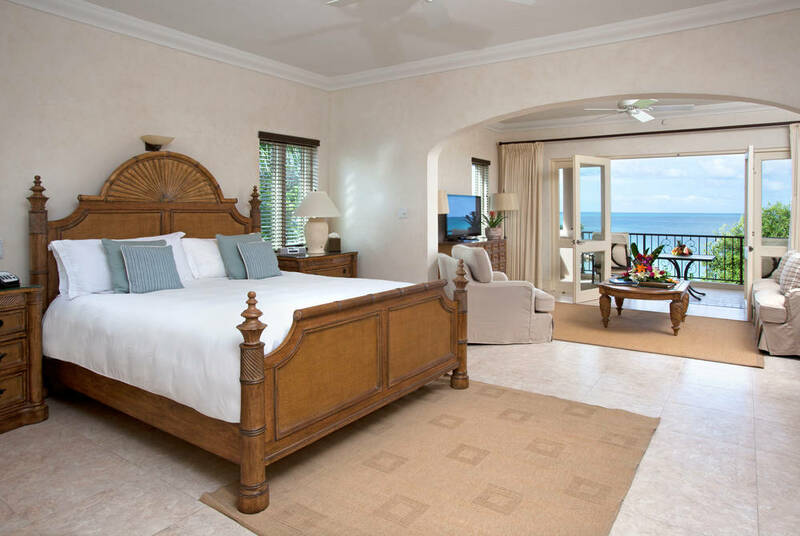 The luxurious Rock Cottage, set on a small peninsula directly above the turquoise waters of the Caribbean Sea has up to five bedrooms, a plunge pool, a lounge and dining room and some of the most spectacular views in the resort. With three restaurants and three bars located throughout the resort, there's plenty of choice when it comes to dining at Blue Waters. 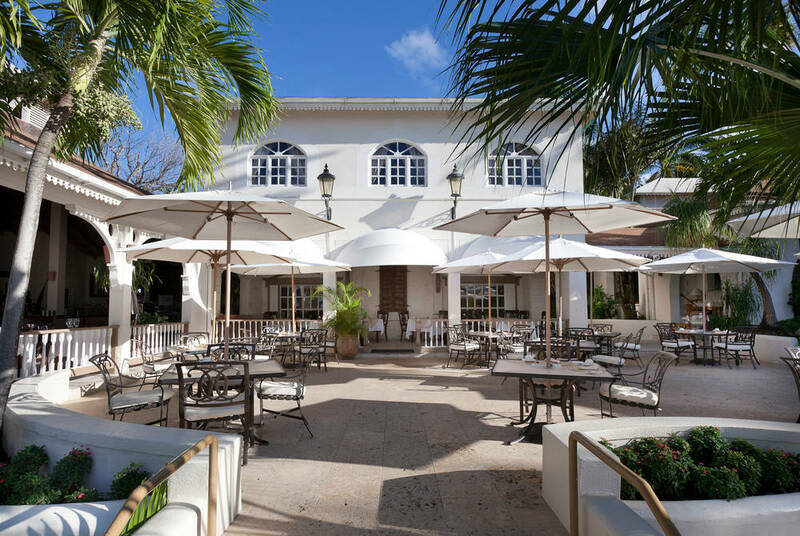 Set in beautiful landscapes gardens with views over the Caribbean Sea, the al fresco Palm Restaurant has a relaxed café feel in the day and a more sophisticated atmosphere in the evening. Bartleys Restaurant offers first-class cuisine accompanied by a comprehensive wine list in an intimate setting, perfect for a romantic evening meal. Situated on a cliff top, the Cove Restaurant is al fresco dining at its very best, with a menu of French and Caribbean flavours and wonderful views over the ocean. Blue Waters offers a staggering array of facilities and activities, sure to suit the needs and tastes of every guest. For the more active guests there's a tennis court, fully equipped gym and a range of water-sports including windsurfing, kayaking and snorkelling, and just a ten-minute drive from the resort guests will find the 18-hole PGA Cedar Valley Golf Club. For those who prefer to relax on their holidays the resort boasts several swimming pools and access to three separate beaches, which, due to the secluded location of Blue Waters, are more or less private. For further relaxation, the resort's beauty salon and spa offers a range of relaxing and rejuvenating treatments including massages and manicures.